America isn’t the first place that’s going to come to mind when you think castles. But, that doesn’t mean we aren’t graced with a few castles of our own here. The most famous of these is Hearst Castle. Dubbed “La Cuesta Encantada” by its original owner, newspaper magnate William Randolph Hearst had dreams of a modest bungalow on the property his family had owned. Well. that didn’t exactly go to plan. 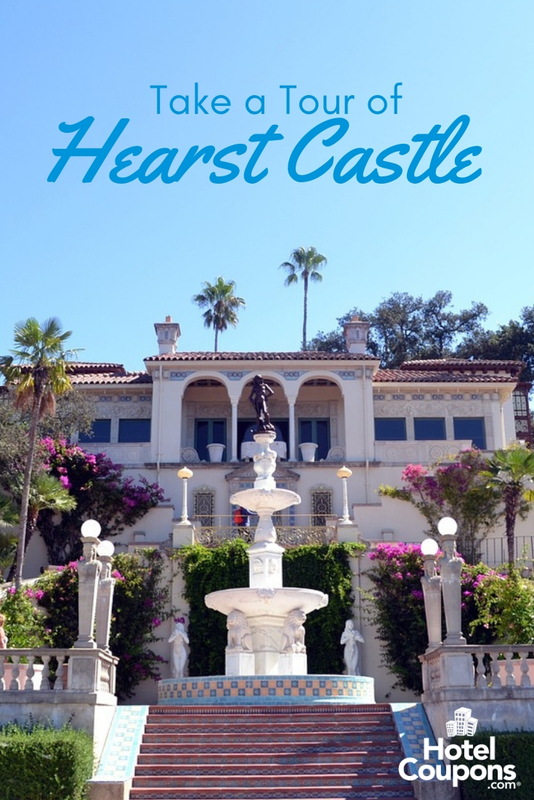 In this post, we’re going to give you your own private tour of Hearst Castle. You’ll learn a bit about the history of the ranch plus what you can do while you’re visiting and in the area. William Randolph Hearst worked with architect Julia Morgan on the design of Hearst Castle starting in 1919. His original idea was for a small house on the property formerly owned by his father. As discussions progressed, so did the size of the estate. Hearst himself lived in the mansion from the start of construction until he moved due to poor health in 1947. In that time, Hearst Castle swelled to 90,000 square feet and 165 rooms, including 65 bedrooms, on 127 acres of land. At one point, it was even home to the world’s largest private zoo, keep your eyes peeled and you might see some animals running around the grounds today! In 1954, a few years after Hearst died, the home became a California State Park, and then later in 1976, it became a National Historic Landmark. Unsurprisingly, Hearst Castle is a huge attraction in Central California. It sees millions of visitors each year from people who want to explore not only the home but the beautiful gardens and grounds as well. The estate is open daily from 9am throughout the year, closed on Thanksgiving, Christmas Day, and New Year’s Day. At Hearst Castle, you can find a tour for any interest. A number of these tours are also ADA accessible for those who have walking difficulties or problems with stairs. There is no shortage of things to see and do at Hearst Castle. Of course, the main estate, technically various buildings, is the biggest attraction. 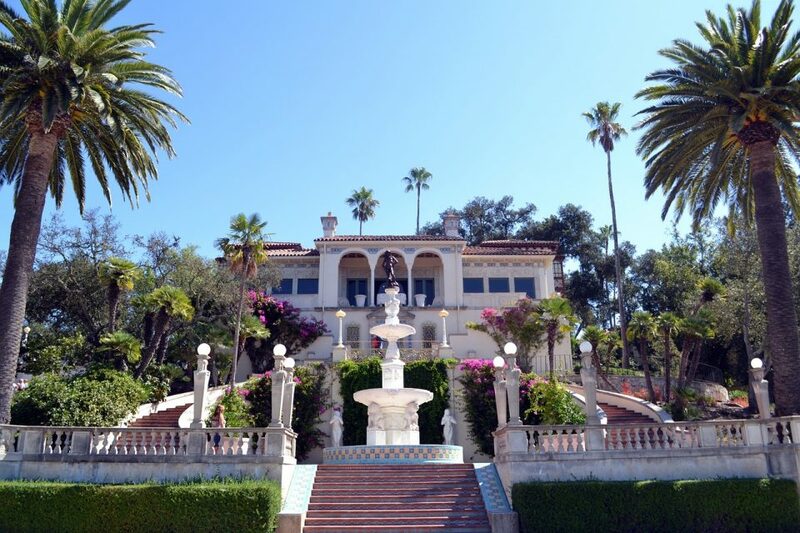 Both the exterior and interior were designed to celebrate many of William Randolph Hearst’s favorite spots from around the world. You’ll find influences from Gothic England and Moorish Spain. 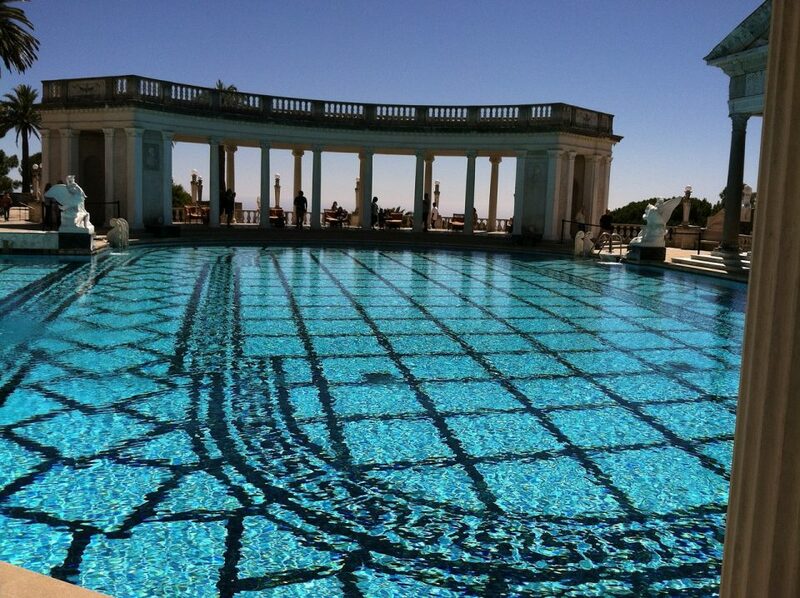 There are not one but two popular pools at Hearst Castle that visitors can tour. The Neptune Pool has to be one of the most photographed in the world. It was designed to look like a ‘temple garden’ and offers incredible views of the area. The Roman Pool is indoors and decorated with statues of Roman Gods. You don’t want to miss either! A beautiful home this size has to have incredible gardens, right? Hearst Castle does not disappoint. In the grounds and around the house you’ll find plenty of Instagram worthy shots, plus a few secret hideaways that some of Hollywood’s golden age greats used to enjoy. 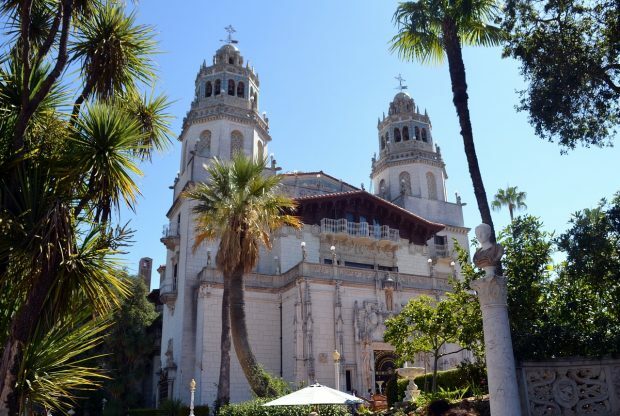 If you’re visiting the California coastline near San Simeon, Hearst Castle is the perfect place to spend an afternoon exploring before you head off to your next stop. Are you in the area now? If you need help with last-minute hotel reservations, take a look at our sister site, HotelCoupons.com for the best rates in the area.